Step 1 In a large bowl, sift together the flour and baking soda. Whisk in the salt. Step 2 In the bowl of a stand mixer, or in another large bowl using a hand mixer, beat the butter until pale and fluffy, 2 to 3 mintues. Beat in the powdered and muscovado sugars. Beat in the eggs, one at a time, until fully incorporated. In Recipes-list.com we have selected the most viewed recipes from category - Desserts . Enjoy the best recipes specially selected for you! 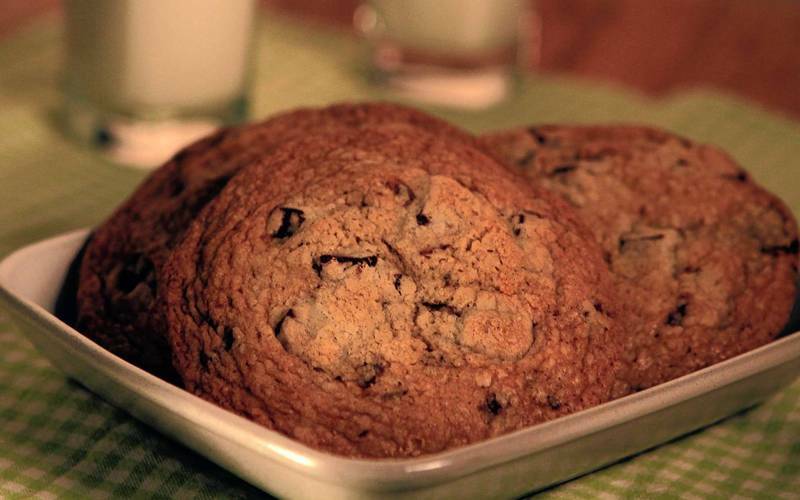 Gail's Artisan Bakery chocolate chip cookies is the right choice that will satisfy all your claims.